Another week off work...no exotic holiday just lounging around watching daytime tv. Yeah....daytime tv...it's not good is it? The food programmes are ok but I had to draw the line at talk shows and forced myself to actually do something worthwhile i.e. bake! My breakfast over the weekend is usually an English muffin but wanted something with a little different...a bagel is probably my favourite type of bread so wanted to start the last few days of not working with something delicious. 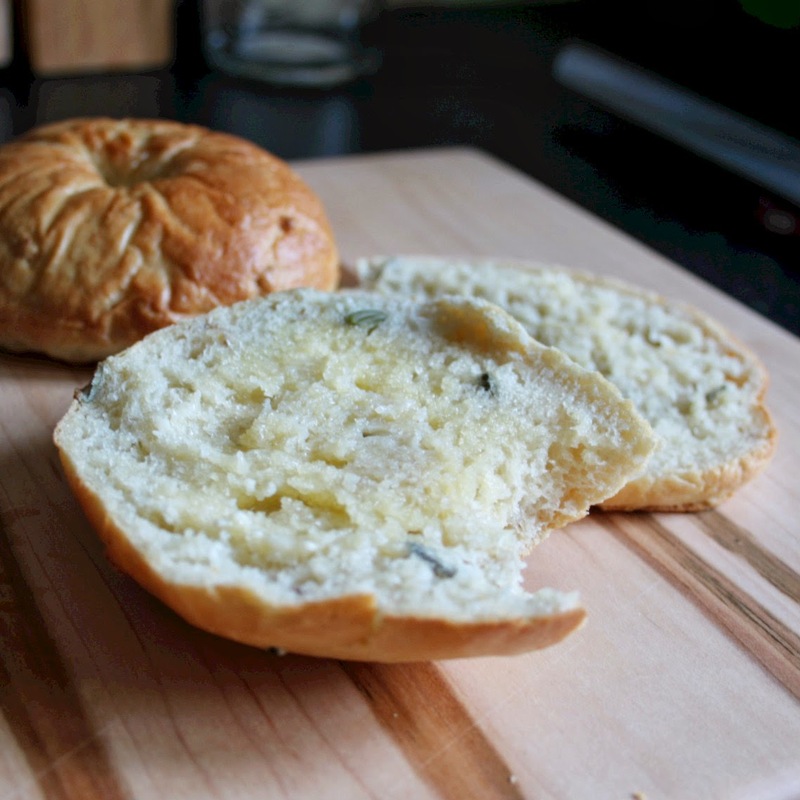 My first bagel recipe was a total success so used the same recipe for this one but added a little seedy, nutty twist. 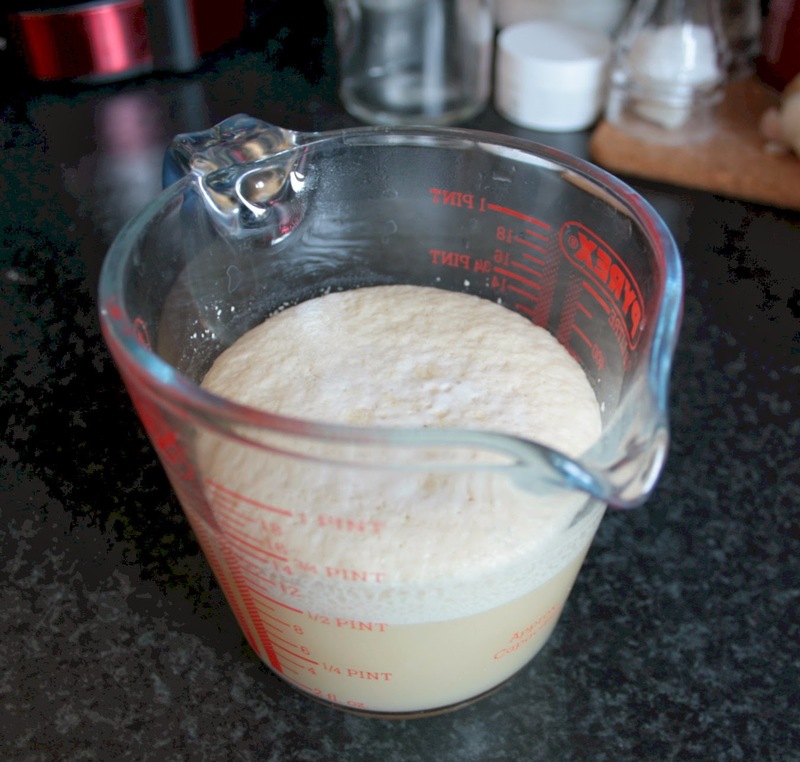 Mix the yeast, honey and the warm water gently in a bowl and let sit for about 5 minutes. It's aliiiiiiive! 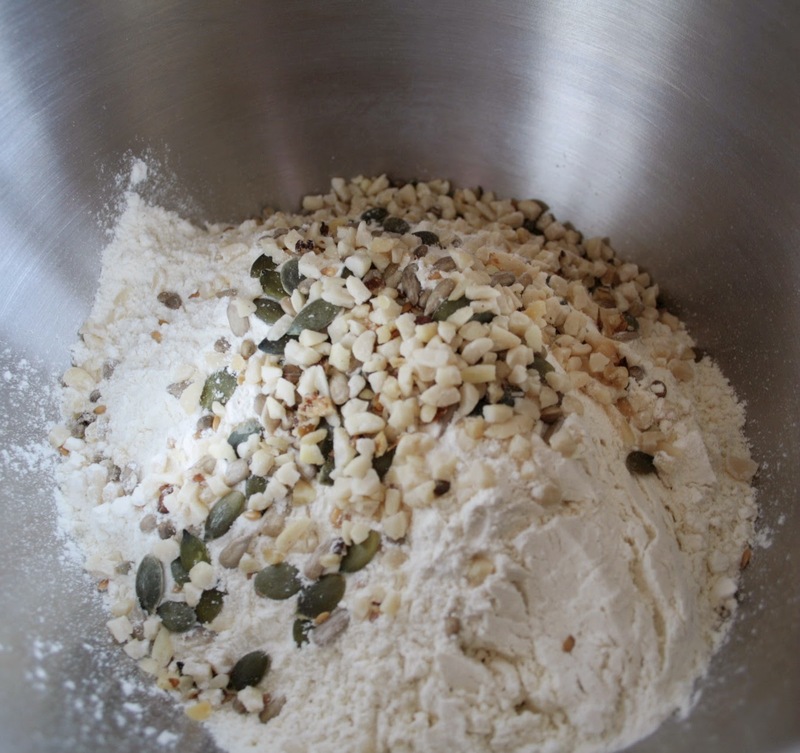 Add the salt, seeds and nuts to the flour in a large bowl (I used an electric mixer so used the bowl on that) and add the yeast mixture. Mix slowly until the dough comes together then increase the speed (or elbow grease!) 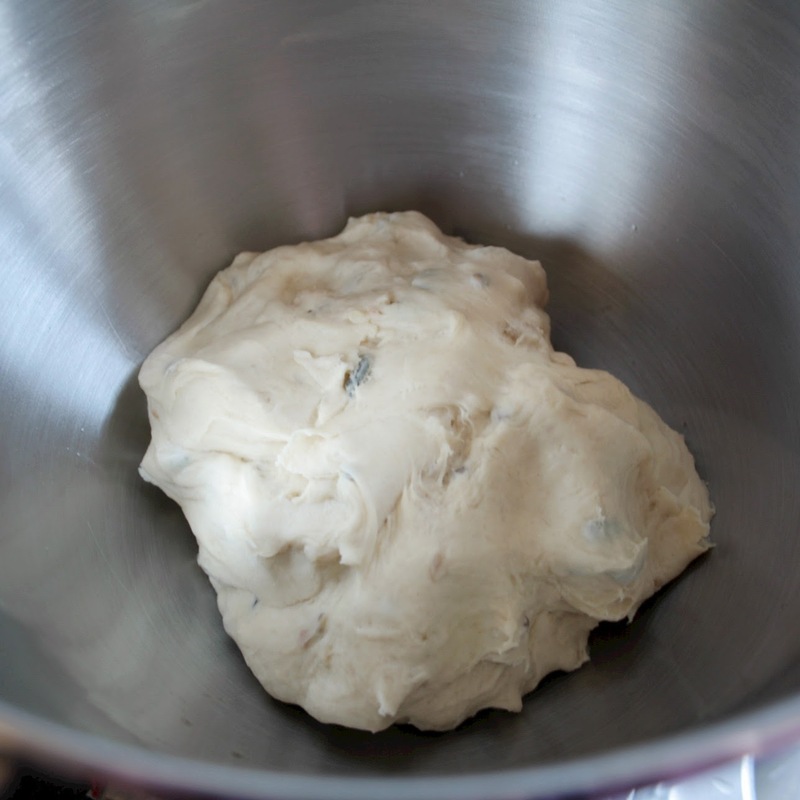 to medium for about 5 minute, 10 by hand, until the dough is smooth and elastic. Place the ball of dough in a lightly greased bowl, cover with a damp tea towel or cling film and let rise for about an hour. 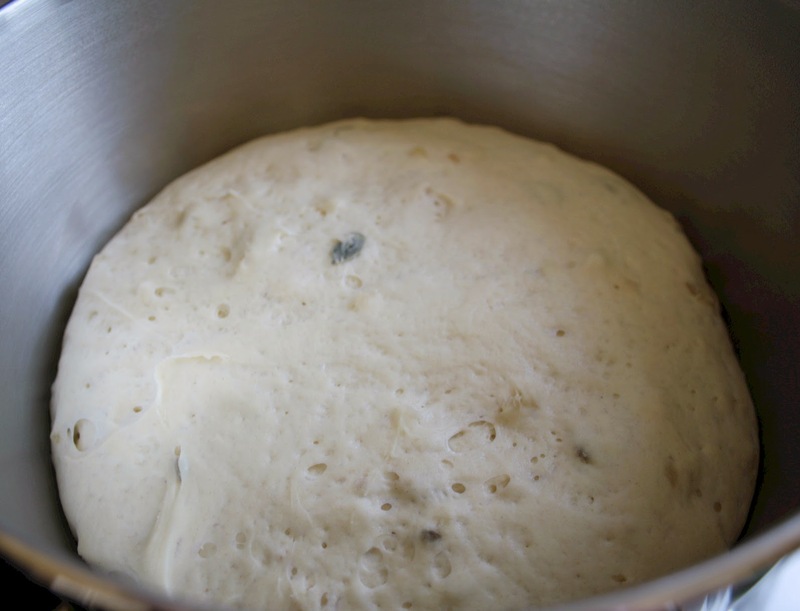 If you can leave the dough at room temperature the yeast-y flavour will develop a little more than if you encourage the dough to rise by putting it in a warm place. Once the dough has risen, knock it back and divide into 8 equal lumps. Gently roll each portion into a ball, flatten slightly and poke a finger through the middle. Work your way around the dough to stretch it out from the hole to make a bagel-y shape. 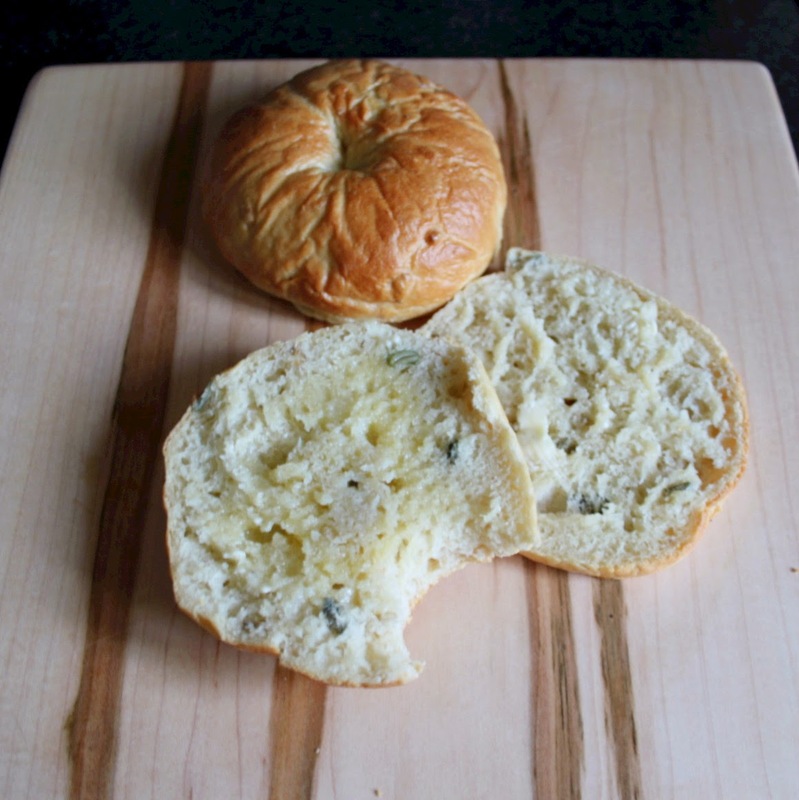 Place bagels on a baking sheet lined with greaseproof paper. I stupidly forgot the greaseproof paper when I went to the supermarket so oiled the foil lightly - greaseproof paper is a lot better, believe me! 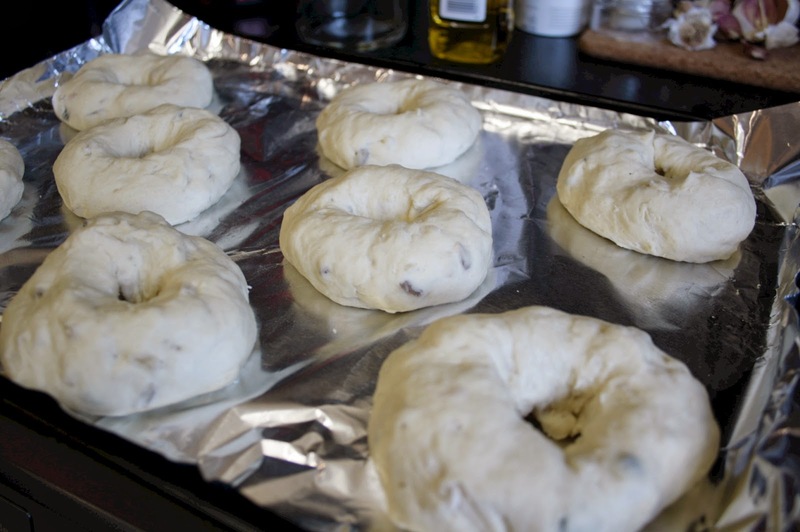 Leave the shaped bagels to rise again for about 20 minutes. While your bagels are rising for the last time, bring a deep pan of water to the boil. 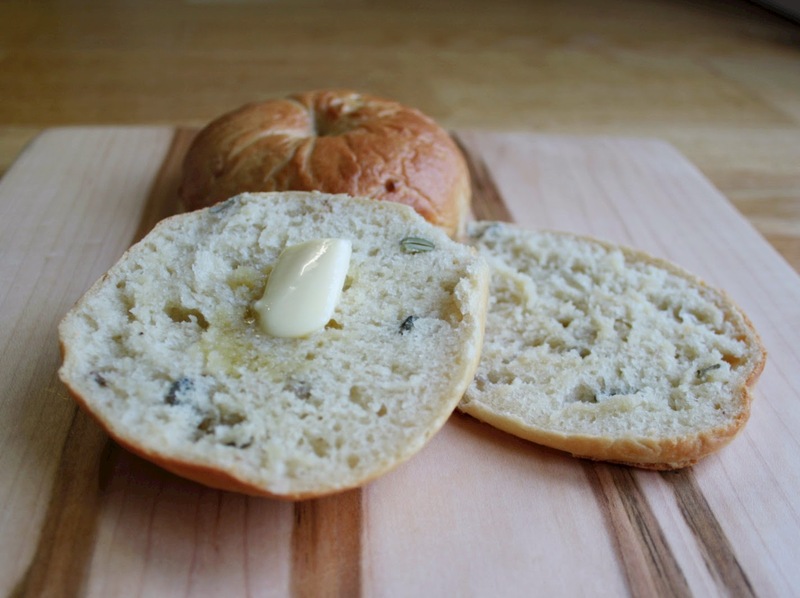 Once your pan of water has boiled, drop the bagels in one at a time allowing each side to boil for around 30 seconds and return to your baking tray. 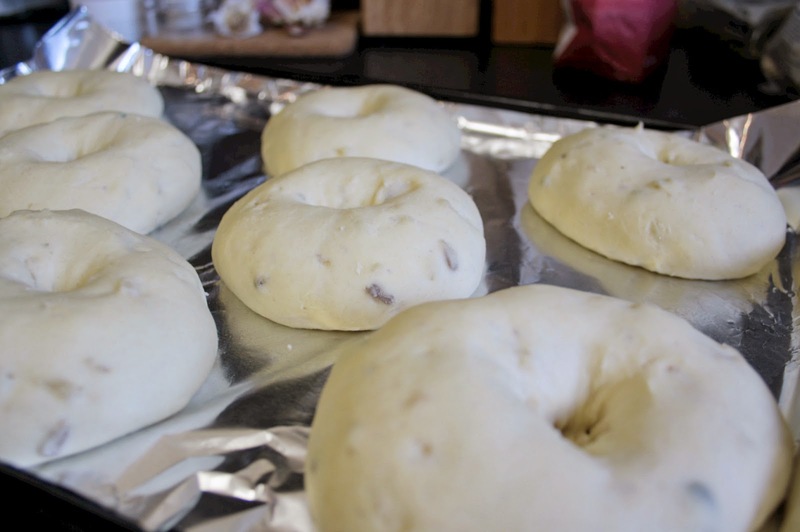 Bake the bagels for around 15 minutes or until golden brown. Leave to cool on a wire rack or eat immediately with butter! I've never made bagels before but I would definitely like to give them a go. These nut and seed ones look delicious.